This is Part 4 in a five-part series on Willetts: Introduction; part 1; part 2; part 3. The previous installment of this multipart review of David Willetts,’ A University Education began to analyse the conversion of quality into quantity that is a necessary part of the process of marketisation, beginning with one of the two main functions of the university: education. Part 4 follows this by looking at how this process unfolds in relation to research, the other core function of the modern university. Specifically, this installment examines how the ‘impact agenda’ in UK research policy institutionalises within universities a form of ‘scientific management’, the purpose of which is to break down and rationalise the labour process of academia so that a surplus can be created, which can in turn be put towards the expansion of the university as a transnational corporation (TNC). Strangely, Willetts doesn’t say much about the Research Excellence Framework (REF), one of the three metrics-based, performance management systems created by the UK government to direct, in an indirect way, the output of universities towards neoliberal economic and social needs. When it comes to research, Willetts is far more interested in R&D—the kind of ‘useful’ knowledge needed for innovation, i.e. the organic expansion of the global capitalist system—which he thinks has been forgotten within the market reform of English higher education, that he led as Minister of State for Universities and Science between 2010-15. However, since stepping down as Minister—being replaced first by Jo Johnson and now by Sam Gyimah—the UK government has announced it will create a Knowledge Exchange Framework (KEF) to complement the REF and the TEF (Teaching Excellence Framework). Although the creation of the KEF is still in the consultation phase, it is clearly meant to address this area of university output that Willetts thinks has been forgotten. Willetts’ arguments concerning R&D are extremely important, and will be covered in a later installment of this multi-part review. This part is chiefly concerned with the REF, and the way that it complements the TEF within an overall process of rationalisation necessary for both the corporatisation of the university and the marketisation of the sector. Willetts criticises the REF for its role in incentivising competition over collaboration, and in reproducing the ancient hierarchy in HE based on ‘star researchers’ and traditional university dominated league tables. His vision of competition—which I’ve been arguing in this series is pure neoliberal ideology—is, in contrast, one of driving disruptive competition through the system via new, teaching-only for-profit providers, break up this system and replace it with a consumer- and business-focused marketplace driven by price signals. On this basis, Willetts argues against A. H. Halsey’s thesis in ‘Decline of Donnish Dominion: The British Academic Professions in the Twentieth Century’ that research performance management—first introduced in the UK in 1985 through the Research Assessment Exercise (RAE)—would lead to a decline in the power of academics. Willetts criticises the REF for exactly the opposite effect: the emphasis on ‘star professors’ and league tables undermines collaboration and risk-taking in research, which are the hallmarks of the classical idea of scientific research operating with what C. S. Peirce called ‘communities of inquiry’. As with many of Willetts arguments—which is why this extended critique of his book is important—they hide a deeper truth about the material changes taking place within marketisation. What Willetts is pointing to, while obscuring, is the ‘centre-periphery’ model of de-professionalisation— with relatively secure academics producing research which is then ‘delivered’ by a growing army of casualised ‘tutors’ with no research responsibilities—that is a necessary part of the ‘corporatisation’ of universities as higher education is subsumed into the global monopoly capitalist system. While this model is increasingly adopted by universities trying to restructure themselves to meet the demands of this system, pushing down on staff costs to squeeze the maximum surplus (universities while they are still charities can’t make ‘profit’ and have no shareholders) required for expansion, it also provides a model for existing multinational educational corporations to enter the system. Through what John Holmwood analyses as a process of ‘commercial enclosure’, the research produced by star professors—who, exactly because they believe in knowledge as a public good and provide their research online under ‘open access’ licenses—is used by these education corporations as the teaching material for massive online open courses (MOOCS). Although initially free, such courses can be monetised either by offering pay-as-you-go accreditation—perhaps through established university ‘partners’—or through advertising, which would ‘pop up’ within courses. For students-as-consumers who desire some face-to-face contact, deprofessionalised ‘tutors’ following pre-prepared lesson plans can deliver workshops, much like minimum wage Costa coffee baristas can deliver a standardised cappuccino after completing a short course. On a micro level, this process is mirrored by the rationalisation and quantification of the academic labour process itself within the ‘impactisation’ of the REF. Just like teaching quality is measured by proxies and rated numerically in the TEF, a essentially social relation between researcher and research subject is converted to a measurable outcome by ‘impact case studies’. Therefore, at an institutional level, both TEF and REF function as Taylorist mechanisms of scientific management, where top down government level objectives—themselves driven by the wider economic needs of neoliberal capitalism—are met by bottom up processes of rationalisation. As Willetts points out, within the British ‘dual support’ system of research funding, the Higher Education Funding Council of England (Hefce) provides about £1.6bn of ‘block grant’ funding directly to universities—which is “more likely to be used for blue skies research”—with the UK Research Councils also providing funding for specific research projects and programmes directly to researchers and research projects (p. 104). The other strand is quality-related (QR) research funding, allocated through a ‘periodic assessment’ called the Research Excellence Framework (REF). There has been one REF so far in 2014—often referred to as REF2014—with the next one taking place in 2021. The first ‘specific valuation’—or performance management system—was introduced by Margaret Thatcher. The Research Selectivity Exercise (RSE) in 1986 began a long process of incentivising first internal and later sector-wide competition in research, undermining the autonomy of academics in evaluating research and destabilising local balances between teaching and research. Willetts notes that these government-led research output management systems, anticipated by Halsey, “operating over 30 years, transformed the performance of British research by putting academic researchers under greater pressure to perform than in any other national system”. However, while Willets agrees that the RSE, RAE and REF represent an over-arching neutering of academic power and the increasing micro-management of academic labour, he disagrees that this has had the effect of undermining what Halsey called the ‘donnish dominion’ in HE. For Willetts, the REF has in fact had the effect of “strengthening” the power of well-established professors, who by playing the game of the REF—“calculating how much funding they individually bring into their university” (p. 105)—become “star researchers”. These professors, who have already accumulated a certain amount of research power over their careers—especially if they work at elite institutions like Oxford or Cambridge—gain leverage with universities desperate to win as much funding as possible while maintaining their position in rankings, and can enjoy tenure-like security and benefits. From the point of view of less established, so called ‘early career researchers’ (ECRs), the view looks very different. Where star professors in many cases benefit from metrics and status obsessed marketisation, ECRs are often stuck in temporary, teaching-heavy roles or on fixed-term contracts attached to time-constrained research projects. According to a new report from the University and College Union (UCU), “some universities rely on hourly-paid staff to do as much as half of all their teaching” while on average they “use hourly-paid staff for 27% of their teaching”. However, the union also points out that “the true scale of universities’ reliance on an hourly-paid workforce is impossible to quantify because many refuse to hand over the data”. According to my own analysis using Higher Education Statistics Agency (HESA) data, the proportion of academic staff on insecure contracts—including ‘a-typical’ and fixed-term’ contrast types—stood at about 50% in the academic year 2015-16 (see Figure 1). 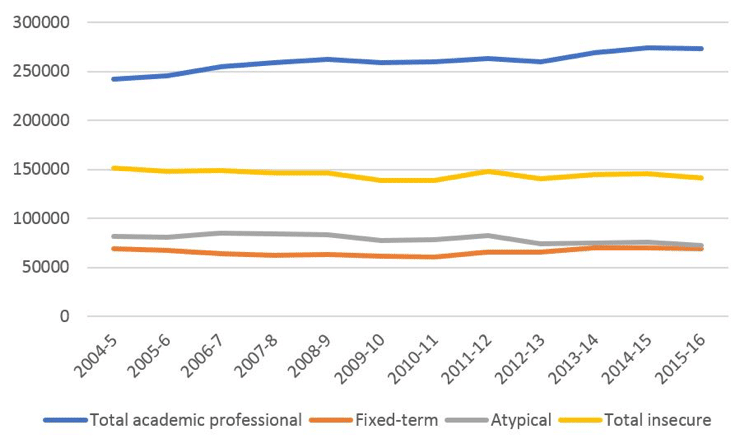 Figure 1: Academic contracts by contract type 2004–2016 (Source: HESA). This situation is not just difficult for people on such contracts—not knowing whether there will be a job in the future and not being able to plan ahead—but also causes ‘inefficiencies’ in the research process itself – according to UCU “around a third of contract researchers estimated they spent 25% of their funded time working towards their next contract, time that could have been spent on the research they were contracted to conduct”. In general, it is assumed that casualisation is a consequence of marketisation. However, the above graph in fact shows a decrease since 2010 in the proportion of insecure academic staff. 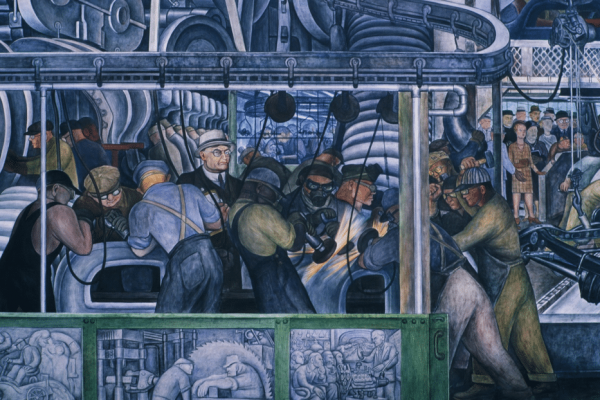 Contrary to the customary view, and in line with the interpretation developed in this series based on the theory of monopoly capitalism, I argue that casualisation is a necessary condition of marketisation. For many who went to university just before 2008 (including myself), remaining in higher education—especially for one more year as part of a Masters degree, was a way to avoid the immediate effects of the crisis and distinguish oneself from others in an increasingly competitive job market. So we see, in Figure 2, a significant rise in the number of students choosing to stay in full-time education after completing undergraduate degrees, assuming that the majority of people studying at postgraduate level do this as a continuation of study. 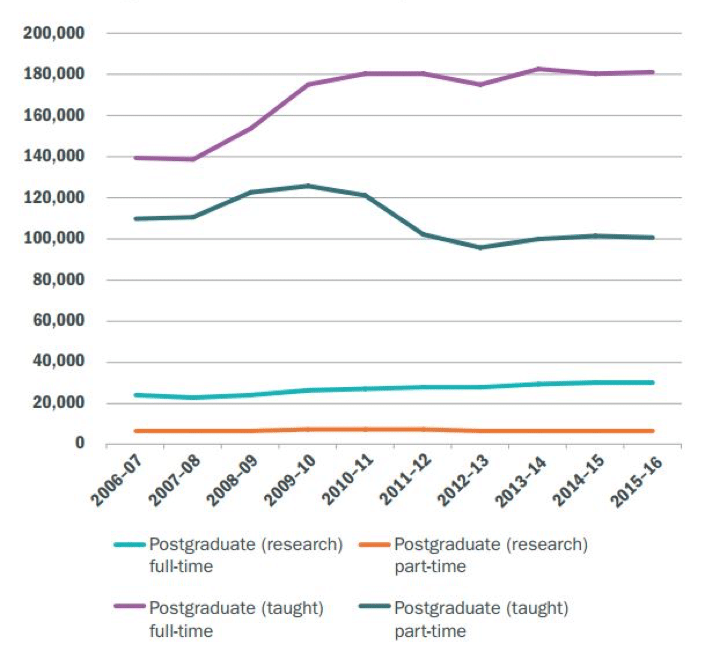 The increase is particularly marked with taught postgraduate programmes—Masters degrees—but a slow but steady increase can also be seen with research degrees (Ph. Ds). As Karl Marx explained, capitalism constantly goes through phases of qualitative change in the composition of capital followed by phases of quantitative accumulation. The 2008 Financial Crisis was one such moment of qualitative change, when huge masses of productivity were annihilated within a short time, and in consequence, masses of workers lost their jobs. Monopoly capitalism theorists also argued that, particularly after financial crises, capitalism returns to the long-term ‘norm’ of stagnation: low productivity and relatively high levels of relative unemployment. In order to escape this tendency towards stagnation, new sources of capital accumulation must be discovered and put to work. Ursula Huws points out that after the 2008 crisis—although this has been a long-term trend within neoliberal government policy— public services presented such an opportunity for capital accumulation, if they could be privatised or procurement contracts ‘outsourced’ to private capital. As these services have for decades been provided by the state—with labour within such sectors enjoying relatively secure employment, decent pay and generous pensions as a result of strong trade union density—for these public sectors to be integrated with the global monopoly capitalist system they must go through a directed and often forcible process of privatisation. This requires a simultaneous de-professionalisation and discipline of the labour force, with explicit and sustained attacks on not only the terms and conditions of this labour, but on the trade unions representing labour in specific workplaces. As Marx explained in Capital Vol 1, the ‘reserve army of labour’ is not only an effect of capitalist crises, but also a precondition of renewed accumulation. This reserve army provides an increasing number of desperate and mostly unionised workers to occupy the new, outsourced, deprofessionalised jobs while remind those lucky enough to retain work that they can be replaced if they dare to cause trouble. Before this reserve army can be put to use, however, the power and autonomy of skilled labour must first be broken up. In higher education, academics still hold a relatively high level of autonomy when it comes to their labour. In other words, academics are still highly qualified professionals and therefore difficult to replace. As argued in Pt 2, Massive Online Open Courses (MOOCs) provide a way for universities to drive down costs, by replacing expensive teaching labour with online videos and activities. Modern universities—which were given private sector like corporate form in 1992—have used ‘wholly owned subsidiaries’ to circumvent local and national collective bargaining agreements to offer “no frills” education to finance rapid expansion and get ahead of the coming monopolisation of the sector. Crucially, this process also drives a wedge between the teaching and research function of the university—so important for Humboldt’s vision of the modern university in the 19th century, which has become the model for all universities today across the world—allowing the academic labour force to be split asunder and the integrity of the academic labour process itself to be rationalised and more importantly, managed. John Holmwood in 2013 presciently criticised the celebration of ‘openness’ in academic research, not because he disagrees with the idea of a community of inquirers sharing their knowledge for the progress of science, but because an uncritical view of openness obscures the way that open access copyrights can be used to further the process of privatisation and rationalisation described above. and is usually paid for through ‘article processing charges’ (APIs), either by academics themselves or by institutions employing these academics; and ‘green’ OA, in which research is placed in a repository after being accepted by a publisher and is open for viewing in the repository alongside publication, usually after an ’embargo’ period. In 2012, the UK government sponsored Finch Report supported the case for open access, recommending that if possible academic research should be made available to the public through the ‘gold’ route. This recommendation was taken up by Research Councils UK, which established a block grant for open access to be paid directly to institutions according to their research output and made it a requirement that all RCUK funded research should be made open access, either through ‘gold’ or ‘green’ routes. Holmwood, however, rightly asks why RCUK didn’t stipulate that such open research, whether made available through green or gold OA, should come under a non-commercial license with a ‘share-alike’ clause—for example the Creative Commons CC-BY-NC-SA license—as this would at least “require negotiation of commercial use for publications and retain intellectual property rights in the format of publication”. While RCUK acknowledge that publicly-funded research could be exploited commercially in innovative and value-adding ways, and recognise that concerns have been raised over the use of the CC-BY license, it fails to see the danger of what Holmwood calls “commercial enclosure”, where the social value of such research is captured by private interests and then placed behind paywalls, often re-branded as to re-establish propriety copyright. Holmwood links this danger to the project of ‘opening up the system’ of English HE to the competitive challenge of ‘alternative providers’ (see Pt 1)—teaching-focused for-profit universities and colleges—in particular within the Silicon Valley inspired theory of ‘unbundling’, put forward by Michael Barber (now chief executive of the Office of Students) and colleagues. In an influential paper, ‘An Avalanche is Coming: Higher Education and the Revolution Ahead’, Michael Barber (who has now been appointed chair of the Office for Students) and colleagues argue that the traditional model of higher education, linking teaching and research—“so obvious that [it is] taken for granted” (pp. 5-6)—is no longer relevant, and that universities need to ‘unbundle’ the functions of the university. Rather than trying to combine all the functions of higher education under one roof—as with Clark Kerr’s quintessentially modern idea of the ‘multiversity’—if existing universities want to ride out the gale of creative destruction caused by the entry of technologically-enabled for-profit ‘disruptors’, they should divest from expensive activities like research and concentrate on finding their ‘unique selling point’ (USP). In this somewhat dystopian vision of the future of higher education, as with all capitalist-ideological utopias, the reality of class is ignored. As Holmwood points out, it is not the elite, research-intensive Russell Group and Oxbridge universities that are subject to disruption. These institutions are protected by decades and centuries of accumulated cultural capital—and financial capital coming from alumni donations—it is the mode, ex-public universities that must be restructured. For post-92 universities “that fall between the elite and for-profit providers”, the same model that provides a way in for multinational educational corporations—using open access research to provide the material for monetised, branded and advertising dominated MOOCs—also provides a way for these universities to restructure themselves into competing multinational corporations through what Megan Kimber calls a ‘centre-periphery’ model of exploitation. In this model, early career researchers, recently graduated Ph. D students and migrant academics desperate for a permanent academic post—no matter how little such a post resembles an ‘academic’ contract—provide the ‘human capital’ for entrepreneurial experiments in corporate form and ‘top up’ face-to-face delivery options for MOOCs, while representing a constant threat to the shrinking ‘core’ of relatively secure professors churning out 4* research for REFs and league tables, to be subsequently recycled in the re-branded MOOC and ‘no frills’ teaching material delivered by this periphery. This ‘macro’ process of technological rationalisation is complemented by a rationalisation of the research process itself through the ‘impact agenda’ in both the REF, and in Research Council UK research funding allocation. Within the first REF exercise—which was completed in 2014—a new metric was introduced: ‘impact’. As Laura King and Gary Rivett (p. 221) explain, REF2014 panels assessed three areas: (1) research output, “based on peer-reviewed publications, which made up 65% percent of the research quality rating” (which is ranked from 1* to 4*); (2) research environment, which focused on “grant income and research students’ success, accounting for a further 15%”; and (3) research impact, “which measured economic and social benefits of research beyond the academy that were a direct result of excellent research”. The Higher Education Funding Council for England (HEFCE) defines impact as “an effect on, change or benefit to the economy, society, culture, public policy or services, health, the environment or quality of life beyond academia”. In the REF2014, impact was measured by impact case studies (ICSs), which “demonstrate the link between particular research findings and observable and provable impact” (King and Rivett, p. 221). Case studies “contain narratives (with evidence) which demonstrate how the research underpinned (made distinct and material contribution to) the impact and the nature and extent of the impact” (King and Rivett, p. 221). Evidence can take the form of “quantitative indicators, critiques or citations in users’ documents, independent testimony and formal evaluations” (King and Rivett, p. 222). Although HEFCE—which assesses the REF with the help of academic panels and awards the QR stream of research funding— after some horse-trading between UK government and the research councils took a more “pragmatic” approach to impact assessment with ICRs, moving away from a purely metrics-based approach, the need to ultimately reduce the qualitative content of research to a REF rating (1* – 4*) creates an “epistemological problem”, according to Michael Power. This problem boils down to the difficulty of showing a “causal relationship between independent variables”—a problem particularly acute for social research, which is fundamentally concerned with “reflexive” human behaviour, “where actors may change behaviours as they discover their previous patterns of response have been analysed”—in the face of a fundamental “indeterminacy” of qualitative evidence. Power lists the reasons why solicited testimony is attractive not only for researchers, but also institutions, which, within marketised environment, are under huge pressure to source as much funding as they possibly can to compete with other institutions (and alternative providers, albeit not in terms of research). Firstly, sourcing evidence outside universities would be very costly. As solicited testimony is collected during the process of research, by researchers, it imposes no extra financial burden on the institution. Secondly, solicited testimony solves the problem of causal attribution as it constructs the causal links between research and its proposed impact, with the evidence coming from a legitimate and trustworthy source: the research subject. In a sense, this is the return of what Gayatri Chakravorty Spivak problematised as the “native informant”, a figure in colonial, ethnographic research who is exploited by Western researchers to prove theories with Western, often racist, assumptions, while also being materially and politically excluded from citizenship in the home countries of colonising powers. In the case of ‘REFable’ research, the native informant of the ICR is constructed by researcher to meet the demands of marketisation and then excluded from the benefits of ‘impactful’ research, which are appropriated by the institution for the purposes of surplus generation. And finally, and perhaps most crucially, solicited testimony makes research impact “auditable” by institutions, thus fitting with the general, corporate organisational model introduced into universities by marketisation. Thus, the impact agenda institutionalises at a local level—because of efforts by both managers and academics to play the game—the rationalisation and ultimately scientific management of research imposed by the government. As Harry Braverman explains, such scientific management—inspired by Frederick Winslow Taylor whether this influence is acknowledged or not—is necessary when firms or organisations reach a certain size and level of complexity. For production to be managed efficiently, labour must be controlled. As far as possible, workers must be removed from the decision-making process not just regarding the operations of the firm or organisation, but over the details of how their work is done. Typically, this is not a smooth process, as this involves the removal and alienation of the worker from the qualitative aspect of his or her work. Taylor himself formulated his ‘scientific’ theory of management out of his own experience of being a foreman at the Bethlehem Steel Company in the later 19th century, where the establishment of his revolutionary techniques took, in his own words, “three years of hard fighting” (Taylor, in Braverman, p. 97). The key to scientific management, as Braverman explains, is to transfer the knowledge of the labour process, by force if necessary, to a new class of managers. This new class of managers then assigns an individualised and simplified part of the overall production process to each worker, who then simply follows instructions. This process of Taylorist rationalisation can be seen to operate in the implementation of the REF, described above. Braverman (p. 112), writes that the “first principle” of Taylorism is that “no task is either too simple or so complex that it may not be studied with the object of collecting in the hands of management at least as much information as is known by the worker who performs it regularly, and very likely more”. Performance management systems like the REF begin as elaborate intelligence gathering mechanisms, going through long process of ‘consultation’ before proposals are put forward, and then information is continually gathered as to how to tweak such systems for their aims to be met more efficiently. Further comment is especially forthcoming from university managers, who look to manage the burden placed on their institutions while extracting any ‘entrepreneurial’ benefits that may result from willing participation. ICRs are a prime example of Taylorism. An epistemological problem concerning the process of rationalising the research process is set by government—whether on purpose or by accident is entirely irrelevant—which is then solved by institutions themselves. Specifically, university middle management is tasked with extracting knowledge of the research process from academics, which is then systematised and given back to the academics in the form of policy procedures and performance management objectives. The impact case study, therefore, is like the “task idea” of Taylor’s third principle of scientific management, that the simplest description of the process must be created so that it can be standardised for all workers. Taylor’s third principle also states that the overall process of research management should become so opaque and frustratingly over-complicated that no one can be said to really understand it, thus mystifying the instrumentalised and disciplining objectives of the process. This is certainly true of the REF. As the case of Imperial College London biologist Stefan Grimm shows—who tragically committed suicide after “struggling to fulfil the metrics” imposed by his institution—academic performance management is experienced by academics as an absurd administrative burden that bears no relation to the individual, intrinsic value of research.